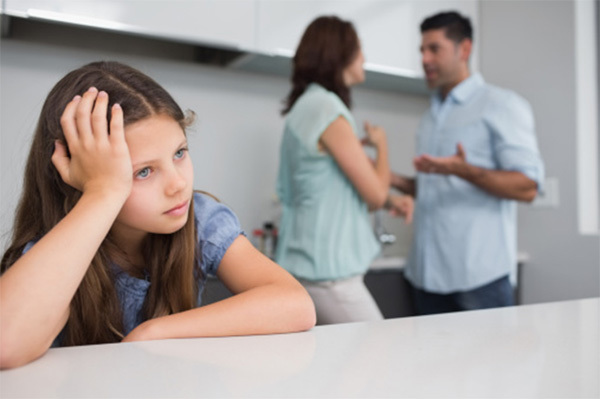 Child custody issues are involved in many family law cases. A court must address paternity, child custody, visitation, child support, and other child-related matters whenever parents file a court action. When parents are married, these issues are handled as part of a divorce, separation, or annulment. When parents are married, custody issues are decided as part of a divorce, separation, or annulment. If you and the other parent can agree to most or all of terms, the case can be finished fairly quickly. For a Nevada court to make any child custody and visitation orders, Nevada must be the "home state" of the children. This means that the children usually must have lived in Nevada for 6 months (or since birth if the child is not yet 6 months old) before the case is filed. If the child left Nevada less than six months ago and a parent still lives in Nevada, Nevada may still be the "home state." There are exceptions to this general rule. When a man and woman are married and have a child, the husband is presumed to be the child's father. Legal custody refers to the basic responsibility for a child and the parent's ability to access information and make major decisions that affect the child, including the child's healthcare, education, and religious upbringing. Parents automatically have joint legal custody rights to a child unless a court orders otherwise. When a case comes to court, judges must generally award both parents joint legal custody so that both parents can make major decisions about the child. However, in some rare cases, one parent may be awarded sole legal custody so that only that parent will have the right to make major decisions concerning the child. Joint Physical Custody: This usually means that each parent has the children at least 40% of the time. This amounts to at least 146 days per calendar year. Parents automatically have joint physical custody rights to a child unless a court orders otherwise. Primary Physical Custody: This usually means that one parent has the children more than 60% of the time during the year. The other parent will have "parenting time" or "visitation." Sole Physical Custody: This means that one parent has the children 100% of the time, and the other parent has no visitation or extremely limited visitation. This is not ordered very often. If the parents cannot come to an agreement, the judge will set a trial and will decide custody based on the "best interest of the children." Whether the parent has committed an act of abduction against the child or a sibling. Child support is set based on a percentage of the parents "gross monthly income." Gross monthly income includes pre-tax income from all sources, including employment, tips, overtime, unemployment, and retirement. Each parent may have to provide the judge and the other parent with a financial statement, paystubs, and possibly prior tax returns so each parent's income can be determined. There are many other factors that can affect how much child support is paid. The judge may order one parent (or both) to provide health insurance for the children. The cost of any insurance premiums may affect the total amount of child support paid. Unreimbursed medical expenses (such as copays and costs not covered by insurance) are typically paid equally by both parents. One parent may be ordered to pay the medical expenses in some cases.